Record Store Day has long been a celebrated holiday throughout the city of Columbus, and each year the excitement bubbles over a bit more. 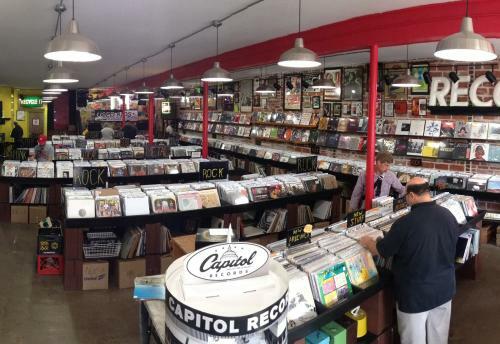 With so many unique shops offering up their own styles and putting off their personal vibes, RSD is the time that should be spent celebrating all of Columbus’ vinyl glory, not just your favorite establishment. 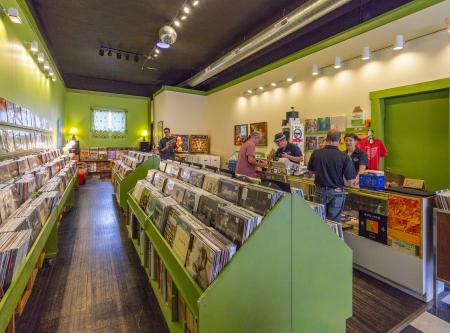 The record stores in Columbus take on a more collaborative approach than a territorial one, so Saturday, April 13 is a day that should be set aside for the music lovers of the city to take a multiple-stop tour of these shops. With more than vinyl shopping to do at each store, exploring is one thing you’ll want to do this RSD. The six Columbus shops listed below will be offering specials on RSD, Saturday, April 13. Near the corner of High and Hudson, you can treat yourself to some classic Jack & Benny’s before or after indulging in RPM’s RSD glory. Not only will the record store be offering 20% off all new and used vinyl (not including RSD exclusives), the deal will last through the entire weekend. Even though the 2019 RSD special releases won’t be discounted, you’ll want to make at least one stop at Records Per Minute over the weekend to receive a rebated price on that vinyl you’ve been eyeing all year. You may be able to walk the length of the store in less than a half minute, but you’ll want to explore every inch to find your gold. Opening: 8 a.m. Address: 2579 N. High St.
You’ll want to head downtown early on Saturday if you want to score on some sweet Spoonful deals. Named Vinyl Me, Please’s best record store in Ohio, Spoonful will be offering 25% off all used vinyl as a base deal and will be holding many RSD exclusives. On top of treating their guests to the enticing discount, the record shop will also be passing out grab bags that may include various totes, CMA admission passes, pins and much more. PromoWest will also be in attendance, raffling away tickets to concerts including The National/Courtney Barnett, Lord Huron, Brit Floyd and Bunbury Music Festival early on in the day. Opening: 8 a.m. Address: 116 E. Long St.
Record shop owners across Columbus have to be some of the most inviting members of our city’s music community, and none may be more welcoming than the folks who run Elizabeth’s. Although it’s tucked away from High St., you’ll want to make the detour to check out one of the best used records collections in town. Although the store won’t be carrying any official RSD product, they will be offering 20% off your total purchase on RSD. Prizes, treats, and live acoustic music are just a few more reasons to make your way to Elizabeth’s on the 13th. Opening: 10 a.m. Address: 3037 Indianola Ave. 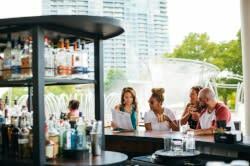 It has only been a few years, but it seems as if Used Kids has been settled into its SoHud location for almost as long as it thrived on North High Street. Well, it hasn’t quite been just as long as 30 years, but the move did bring about a wider arrangement and a little breathing room for the establishment. On top of having “billions” of RSD deals, Used Kids will also be holding a Simon & Garfunkel lookalike contest as well as booking a Neil Diamond tribute band on top of a bunch of other acts yet to be announced. With plenty of room to shop and enjoy live music, Used Kids will be filled with gusto all day long. Opening: 8 a.m. Address: 2500 Summit St. Opening: 8 a.m. Address: 1155 N. High St.
Another shop that will be pumping out the deals all weekend long, Lost Weekend Records has a whole list of specials they&apos;re bringing to the table. The store’s biggest sale of the year will take place between Friday, April 12 and Monday, April 15. Although they will be starting the deals a day early, RSD exclusives won’t be offered until Saturday. Throughout the weekend you can expect 33% off all used LPs, 45% off all used 45rps, 78rpms for only 78 cents each, 10% off all new LPs and CDs (excluding RSD titles) and 20% off everything else. Lost Weekend Records will also be giving away prizes throughout the day, including passes to Nelsonville and Bunbury music festivals, Fred Arminsen tickets, test pressings and more. Opening: 8 a.m. Address: 2960 N. High St.
For even more RSD exclusives, check out this list of special releases that will also be available just for the holiday.